Join Merritt on February 21; from 6:00 pm. Her workshop will look at the importance of ensuring that your Heart Chakras is balanced. The Heart Chakra is about the sharing of love with yourself and others, forgiveness and transformation. Aligning your energy centers and balancing your meridian system promotes greater health. Having a balanced Heart Chakra is important to maintain healthy relationships with self, family and friends and all those you interact with. We will start the workshop with an energy assessment of your Bio-field. 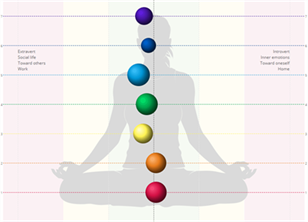 This provides an image of the chakra system and your meridian system. Together we will explore ways to balance the Chakras and support your meridian system using crystals, colorpuncture, and essential oil blends.